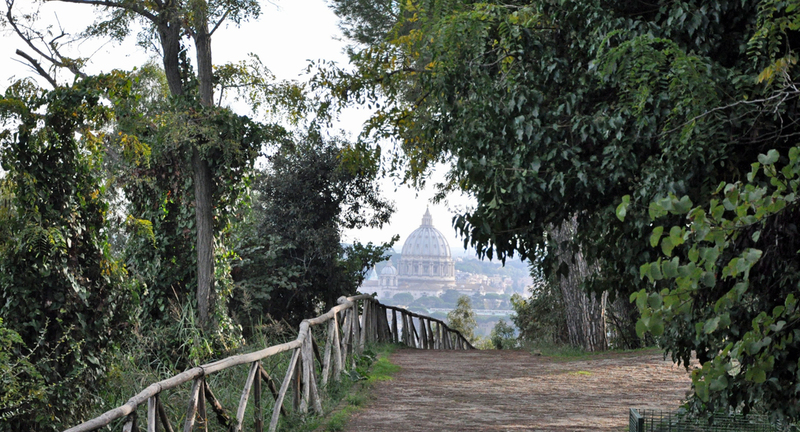 Revealed Rome - Page 3 of 37 - Tips, tricks and things not to miss — in Rome and beyond. In July, I filmed my first video for BBC Travel: It’s about how Rome’s ruins are at risk — and what’s being done (or not) to save them. The video is part of what we hope will be a series called Dissolving History, about cultural heritage under threat around the world. 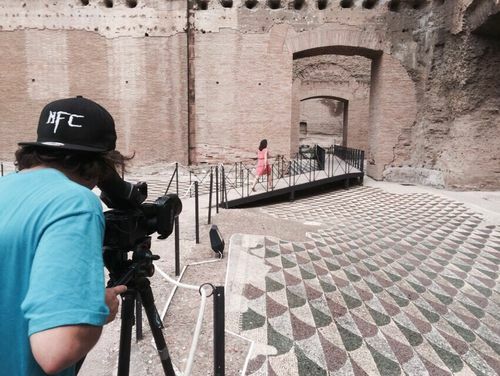 You can watch Dissolving History: Rome here. Cultural heritage (a decidedly unexciting term for what I think is one of the most exciting things around — the one way we can really get up close and personal with our own history!) is a topic close to my heart. 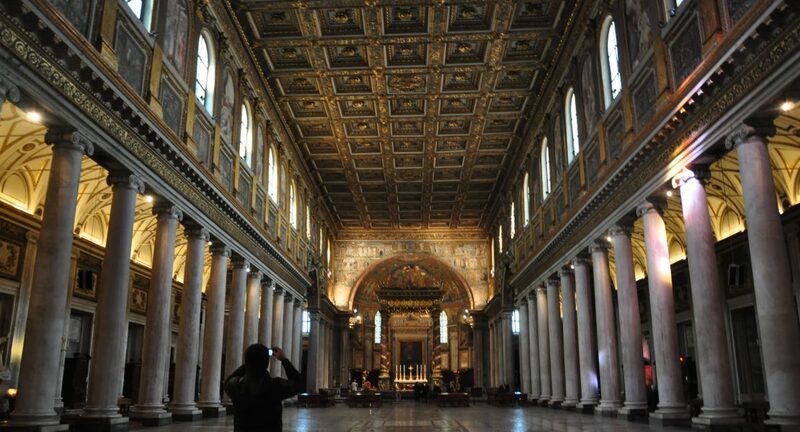 I first covered how Italy’s heritage was underfunded five years ago. Since then, I’ve written about UNESCO’s intangible cultural heritage for National Geographic Traveler and Italy’s stolen works of art for the BBC. But even when I’m not writing about cultural heritage directly, I’m writing about it somehow. It’s rare that I write a travel story — or take a trip at all — without somehow touching on the destination’s monuments and museums, its artifacts and archaeology. And I have a feeling it’s the same for most of you. So it’s an important topic. And a surprisingly fun one. Check out the video for more. 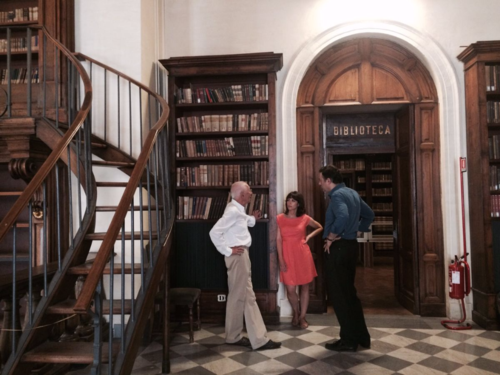 I was fortunate enough to get an interview with Italy’s Minister of Cultural Heritage Dario Franceschini. Here, I’m debriefing with his aides after the interview. 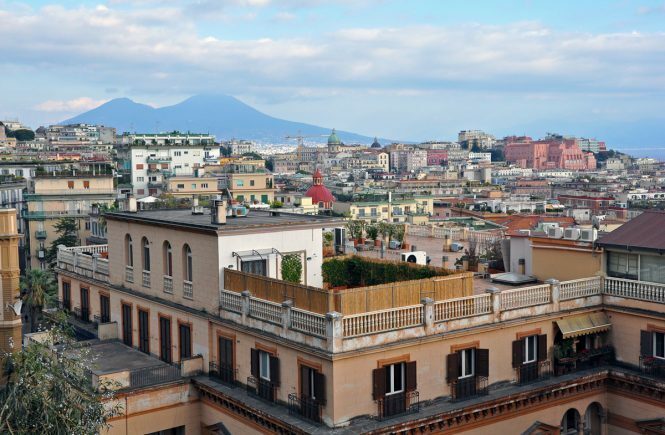 Should I Take a Day Trip from Rome to Naples? 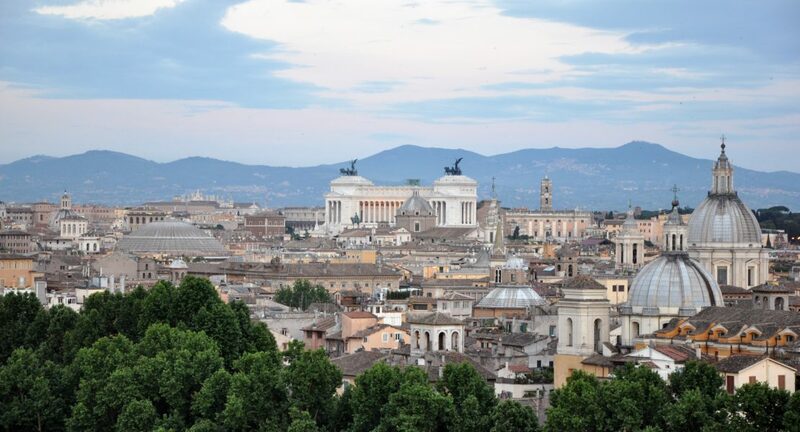 Actually… the issue isn’t necessarily whether you should take a day trip from Rome to Naples. 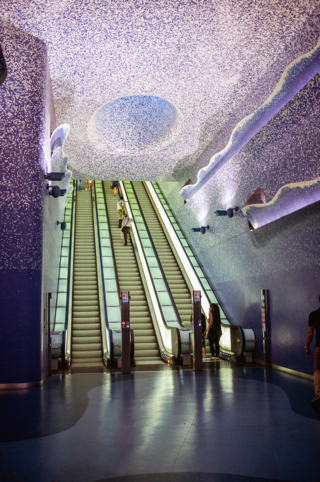 The issue really is that a day in Naples is not enough time to explore the city’s art and archaeology, its ridiculously good food and fascinating underground, its vibrance and energy. Or to even start to grasp its contradictions. Naples is a place where a spate of contemporary art museums have opened in the last few years — but where people still lower baskets outside their window to the street to trade cash for cigarettes. 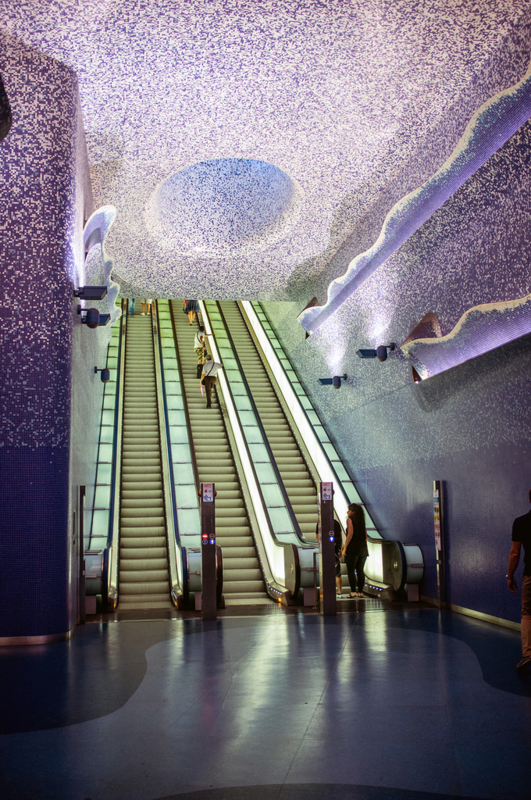 It’s a place where traffic patterns will sometimes completely break down — but where the buses are frequent and the brand-new subway stations have all been beautifully designed by contemporary artists. It’s a place where whole families will cram onto a scooter without a single helmet between them — but where you’ll be admonished by a well-meaning local if you dare to go out on a chilly night without a scarf around your neck. 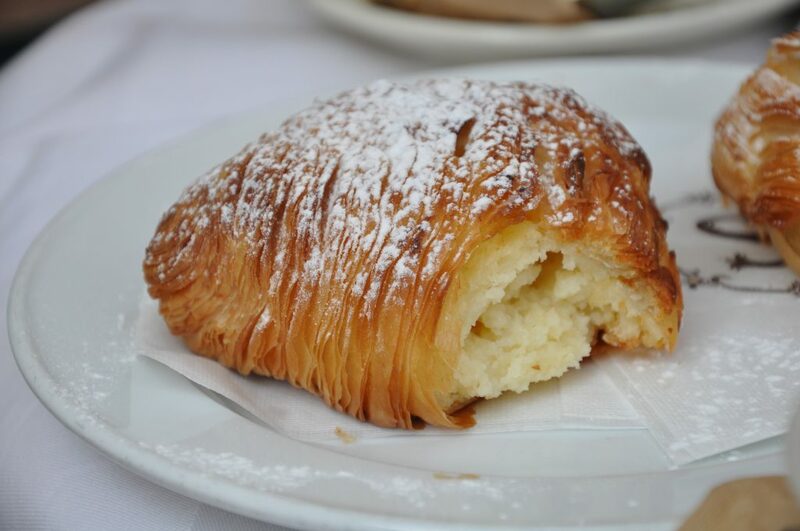 There’s way more to food in Naples than pizza… hello, sfogliatelle! To really start to dig into (and grasp) Naples, you need at least two, three days. Or, frankly, a lifetime. (For a very good sense of why it took me a few visits to capitulate to bella Napoli — but why I wound up falling for the city, hard — then read this piece I wrote for New York Magazine). But most people coming to Italy aren’t considering whether a day trip from Rome to Naples is enough. They’re considering whether to visit Naples at all. I can completely geek out on museums in Rome. 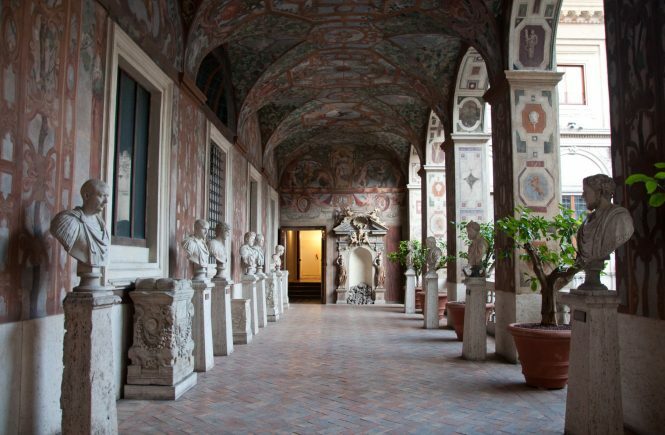 So here’s an embarrassing confession for you: until a few months ago, I’d never been to Palazzo Altemps. And that’s even though, as one of the National Rome Museums, Palazzo Altemps was on the same entry ticket as some of my other favorites — Palazzo Massimo and Crypta Balbi in particular. I told you. Embarrassing. Even more so when I went in December and realized just how much I’d been missing. Brief background: Palazzo Altemps is, itself, a stunning 15th-century palace (albeit one with foundations that date back to an ancient Roman house) just around the corner from Piazza Navona. 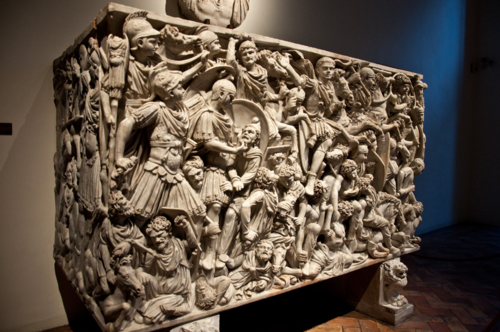 In 1568, a German cardinal with a penchant for ancient sculpture purchased it, and thus the collection was born. Although many objects have since been parceled off to other museums (the Louvre, for one), some extraordinary pieces remain — backdropped by frescoed rooms with painted, wood-beamed ceilings. And did I mention that you might be in these rooms by yourself? (It seems I’m not the only one who left Palazzo Altemps near the bottom of my to-do list). Like this guy: the Grand Ludovisi Sarcophagus, which dates to the 3rd century; it was discovered near the Porta Tiburtina in 1621. Let’s take a closer look, shall we? Because in case you missed it: the expressions on the pair in the middle — the Roman soldier, and the barbarian he’s about to slaughter — seem like exquisite portrayals of the kind of emotions that would actually be running through your veins (if there were room for any aside from ongoing expletives, that is). 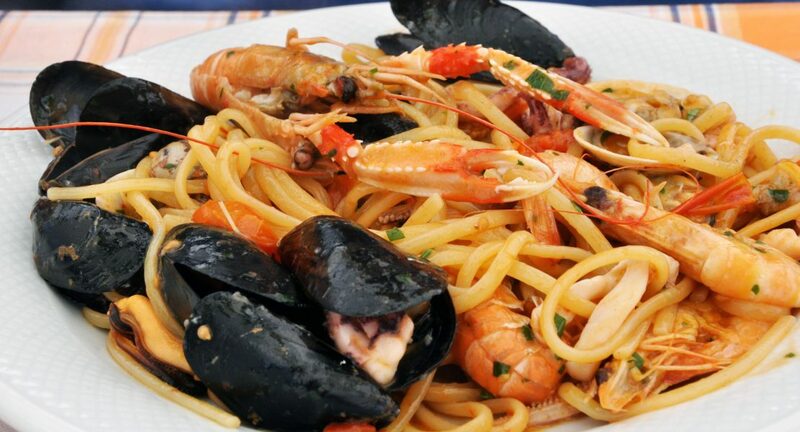 Looking for the best trattoria in Rome? Good. Because unless you’re sticking to Michelin-starred spots only, at some point during your trip, you’re going to wind up eating at one. Might as well make it top-notch. Originally, a trattoria was a mid-priced, family-run restaurant, something between a ristorante and osteria in terms of expense and formality. 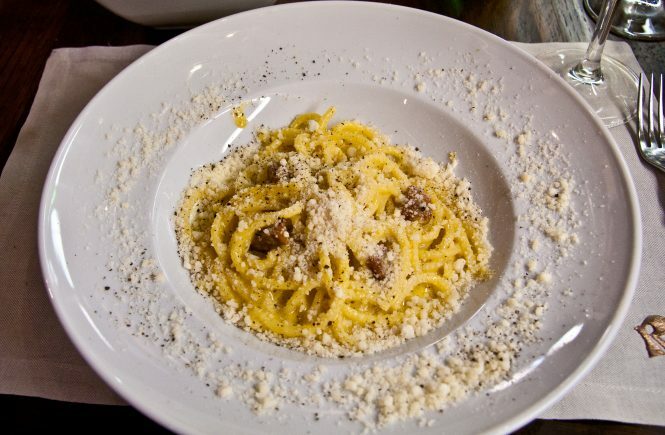 In reality, it’s come to mean pretty much any restaurant in Rome that’s serving up Roman dishes and isn’t overly expensive (or any others that want to pretend that’s the case — hi, all you places with tourist menus!). 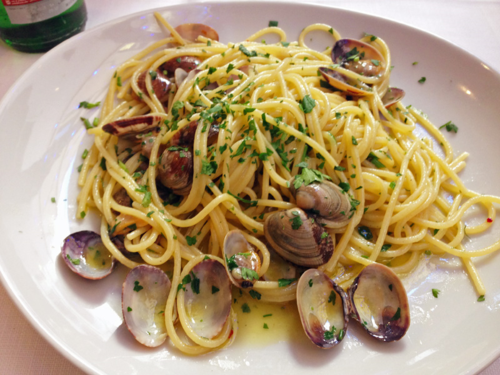 So if you want the very best trattoria in Rome… you should have an idea of where to go. When I’m craving an amazing cacio e pepe or Roman artichoke or saltimbocca, these are the trattorias in Rome I frequent. (Do note that while these places all have very good food, they’re not all always top-notch with service: brusque waiters are part of the trattoria’s charm. Truly. It’s as traditional as carbonara). Hostaria Romana is old-school: the tables are crammed together, past diners have scrawled their signatures on the wall, and if two people at your table order the same pasta, it’s spooned out of a pan right at your table. Fortunately, the dishes are old-school, too. Nothing here is going to blow your mind with creativity, but that’s not the purpose of, say, a like-your-nonna-romana-made-it amatriciana: We’re talking simple ingredients done well. On that basic (but oh-so-difficult, if other trattorias in Rome are any indication!) promise, Hostaria Romana delivers. 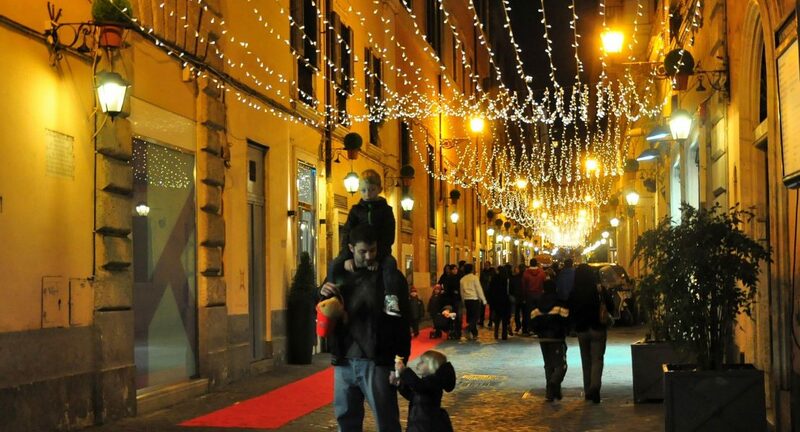 Which is especially surprising given its location right around the corner from Piazza Barberini, or tourism central. Even more surprising? The waiters here are actually nice. Go figure. In season, don’t miss the artichokes. 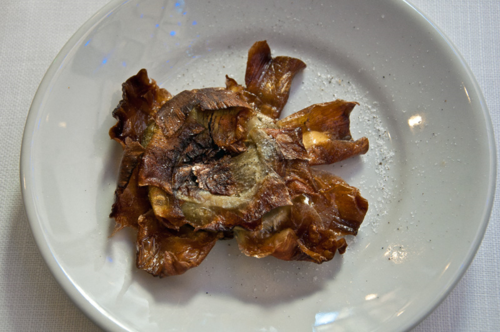 When I ate there in December, I ordered both the alla giudia (fried) and alla romana (braised) styles. 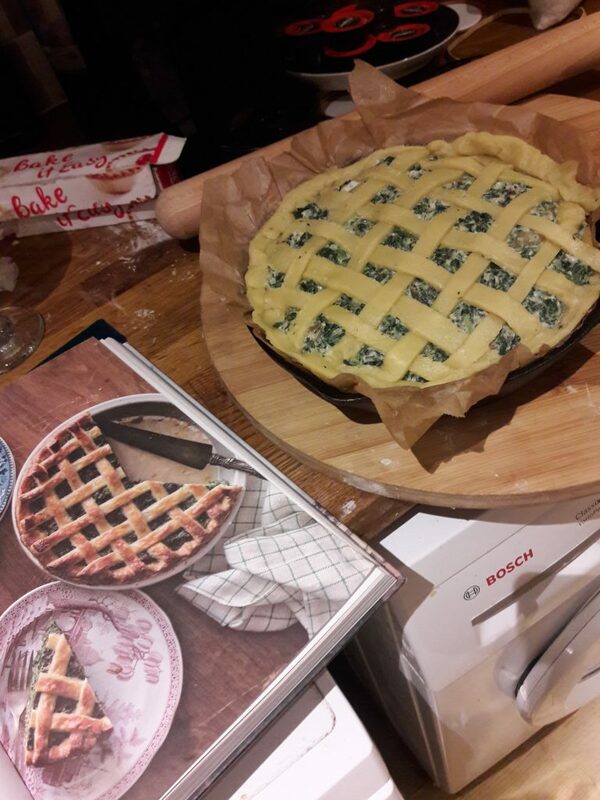 They were both delicious. (Who said you have to settle for just one option?). …and a carciofo alla romana? 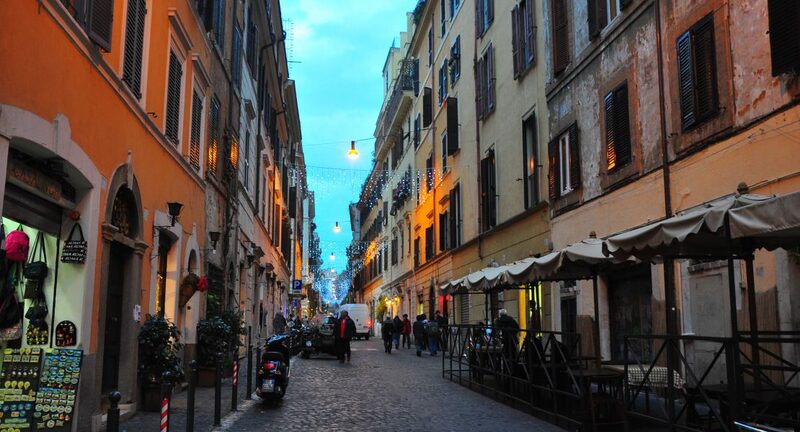 Hostaria Romana is located at Via del Boccaccio 1, right near Piazza Barberini; it’s open daily except Sundays for lunch and dinner. For dinner, reservations are recommended. 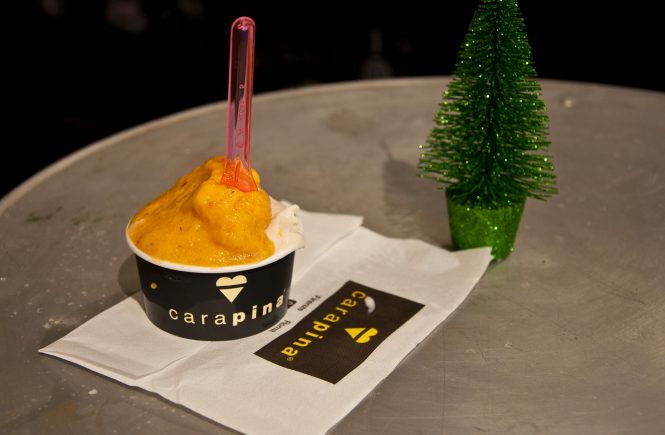 Update, April 2018: In a huge blow for Rome’s gelato-lovers, Carapina’s Rome location has permanently closed. (You can still find Carapina in its original home of Florence, if you go). But don’t worry—you still have lots of other delicious options for where to find the best gelato in Rome! For the sake of salivating nostalgia, I’m leaving the post below as is. You can never get enough of gelato in Rome. That’s a very good thing, since these days, there seems to be a new gelato shop opening every couple of months. And not just a new gelato shop. But a new real gelato shop. What’s a “real” gelateria, you say? Well, the vast majority of Rome’s gelato shops spoon out industrialized junk, whipped up from a lovely conglomeration of synthetic thickeners, chemical flavors, and air. (Remember, friends, real gelato should not look like a cloud, and it should not be brighter than your sunburned face after a Roman holiday!). And for years, those who wanted top-notch, non-fake gelato had to seek it out, especially in the center, where such shops were few and far between. I know that might seem surprising. Most guidebooks (and many websites) wax lyrical about central spots like San Crispino, Giolitti or Gelateria del Teatro. But trust me. Those places have seen their day. 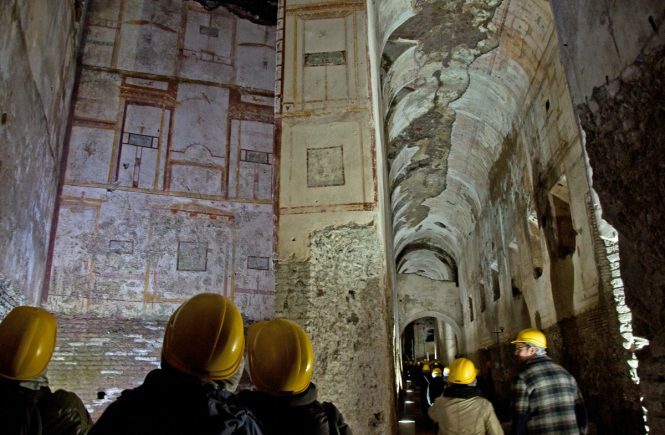 For years, you were out of luck if you wanted to take a tour of the Domus Aurea tour — i.e. the famed “Golden House” of Nero. But in 2014, it reopened to the public (on guided tours only)… and the visit just keeps getting better and better. (More in my update at the bottom of the post). I haven’t seen this much excitement over a site’s opening since the Colosseum’s underground was unveiled back in 2010. And you know what? Having toured both, the excitement over the Domus Aurea may be even more merited. (PS: Don’t miss my article on the Domus Aurea in the Globe & Mail!). First, the basics. Emperor Nero built his palace back in 64AD. (Yes, he’s the “fiddled while Rome burned” guy; although that’s an urban legend, you can’t deny his, erm, ingeniousness in using the land conveniently cleared by the fire for his dream palace). The property, which included open gardens and pastures as well as rooms and galleries, stretched all the way from the Palatine Hill to the Esquiline. Some scholars place it at 300 acres. In other words: Nero would have killed on MTV’s Cribs. 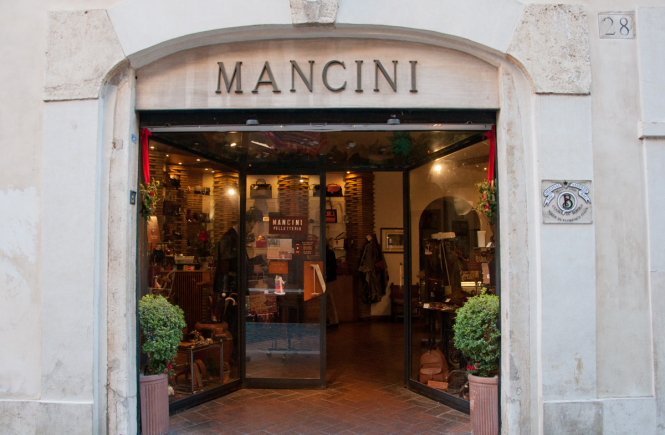 Looking for the perfect gift for a traveler headed to Italy? (Or maybe for yourself?). I’ve got you covered! 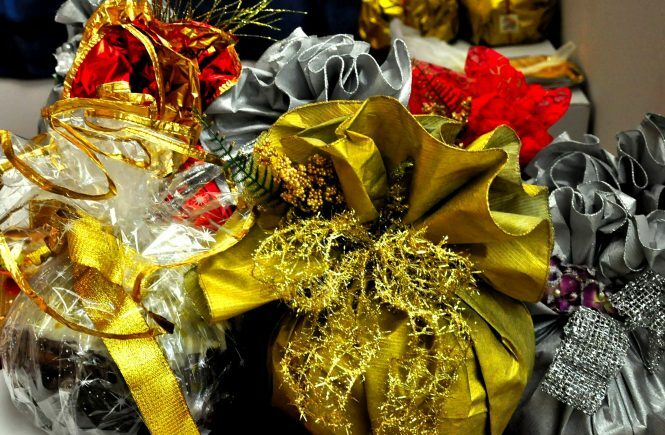 And don’t miss my guide to the best Italian gifts, or my previous guide to the best gifts for travelers to Italy. When it comes to bringing history to life, Ross King is a wizard, telling rollicking tales of Renaissance scandals and assignments gone awry. And he’s done it with not one, not two, but three Italian treasures: Brunelleschi’s Dome: How a Renaissance Genius Reinvented Architecture (on the Duomo of Florence); Michelangelo and the Pope’s Ceiling (on the Sistine Chapel); and Leonardo and the Last Supper . Conveniently, each book is on a different city (Florence, Rome and Milan). Talk about the perfect gift trifecta for someone headed for the Grand Tour. Whenever I’m not in Rome, I miss the food: the amatriciana, the vignarola, the pizza romana… Fortunately, I’ve figured out how to make a surprising number of these recipes at home — thanks to Katie Parla’s gorgeous book Tasting Rome: Fresh Flavors and Forgotten Recipes from an Ancient City. 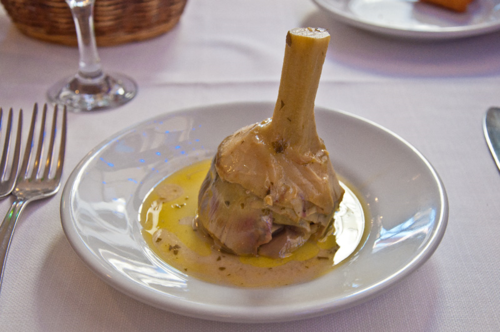 As well as a cookbook, it’s a beautiful look at the history and traditions of some of Rome’s finest dishes. (You can read more about it here). Meanwhile, a year ago another book hit the market that I’ve also been wanting to try out. 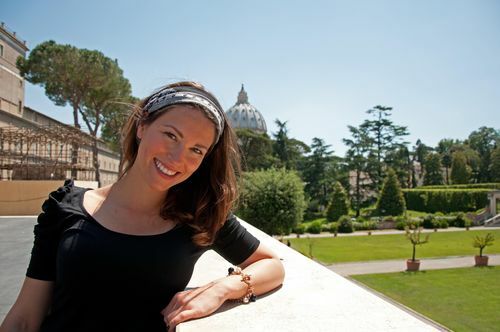 Written, like Tasting Rome, by a Rome expat who fell in love with the city and stayed (a familiar sentence…), Maria Pasquale’s I Heart Rome collects recipes and short stories from the Eternal City. It looks absolutely fabulous — it’s in my Amazon check-out basket as we speak. If you think the Revealed Rome website is helpful, wait till you read the book. 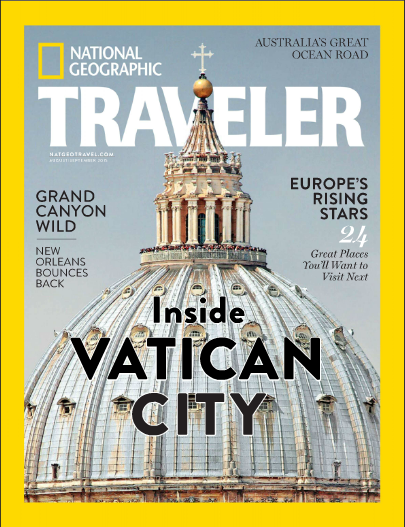 I’ve basically downloaded my Rome-related brain into a book that covers everything a traveler would want to know — think handy tips like how to pick an authentic restaurant at a glance, secrets to skipping the lines at the Colosseum and Vatican, how to eat gluten-free in the country of pasta and pizza, and much more. Recently updated, the book is now available in both print and e-versions. 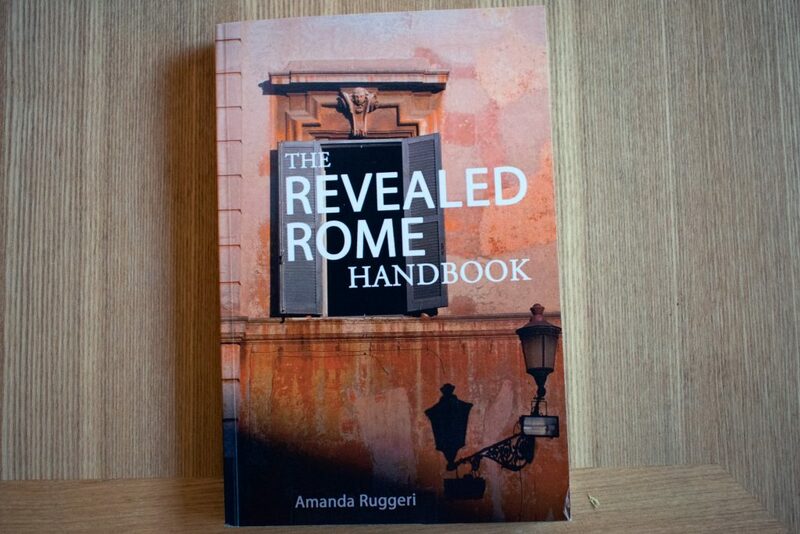 You can read more about the Revealed Rome Handbook here, or head right over to check it out on Amazon — where I’m thrilled to say it has 5-star reviews from 80-plus people who have read (and used) it. Get all of your Revealed Rome goodness in one hard copy. 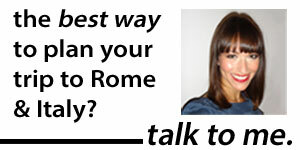 Since 2012, I have helped more than 250 clients with my one-on-one consulting sessions on travel to Italy. And I’ve been thrilled to hear their post-trip feedback about what fantastic experiences they had — and, in particular, how our sessions let them discover hidden gems and avoid the kinds of issues that they wouldn’t have known about otherwise… all personalized to their needs and wants. After all, answers to questions like “Should I go to the Amalfi coast or the Cinque Terre?” or “What do you think about a Colosseum tour?” can’t be found in a guidebook or online — because they depend on who you are! New this year, I’m offering the ability to give a classic or unlimited session as a gift. Purchase with the button below. Or read on to learn more about what each session entails!